For the second time this year, Amazon is increasing the price of subscribing to Prime. The company headed by the world's wealthiest individual increased the monthly Prime subscription from $10.99 per month to $12.99 in January. During its first-quarter earnings call Thursday, the company revealed the annual membership is now set to undergo a similar price hike of about 20%. The $99 annual subscription will cost $119 per year starting May 11. The price hike will impact new users first, with new memberships costing $119 starting May 11. Existing Prime members can renew their membership for $99 up until June 16. The company attributes the price hike to the rising costs of the service it provides to its more than 100 million global subscribers. Prime subscribers get free two-day shipping on many goods purchased through Amazon.com as well as access to exclusive TV shows, movies, and music. That includes the forthcoming Lord of the Rings adaptation that could cost Amazon more than a billion dollars, according to reports. "The value of Prime to customers has never been great," Brian Olsavsky, Amazon's chief financial officer, said on the call. "And the cost is also high, as we pointed out especially with shipping options and digital benefits, we continue to see rises in costs. So effective May 11, we're going to increase the price of our US annual plan from $99 to $119 for new members. The new price will apply to renewals starting on June 16. Prime provides a unique combination of benefits, and we continue to invest in making this Prime program even more valuable for our members. As a reminder, we haven't increased the US annual price Prime since our single increase, which was in March of 2014." Additionally, there have been hints that Prime members may start to see more benefits from the Whole Foods and Amazon merger, in addition to the somewhat limited free grocery deliveries available now. 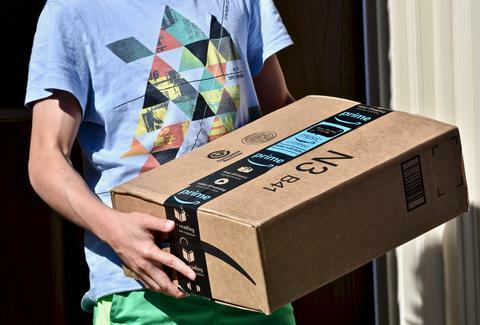 That could make the $20 increase a little easier to stomach for people who regularly use Prime services and don't find it creepy that the company wants to deliver packages into the trunk of your car.